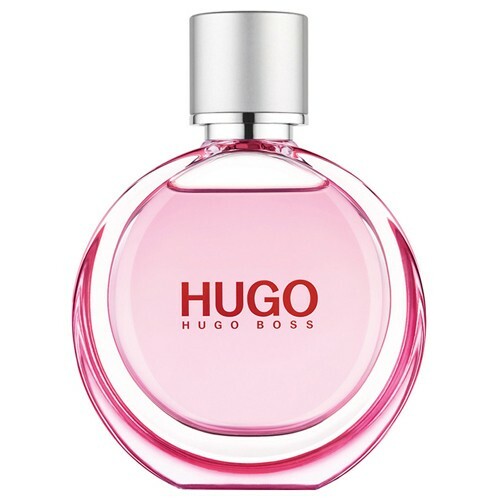 Hugo Woman Extreme is a precious version of the cult Hugo Woman fragrance, with intense and revitalizing freshness that embodies extreme confidence and femininity. The fragrance opens with sparkling notes of boysenberry and red Himalayan grass, announced as irresistibly fruity and adventurously fresh. As the scent develops, the power of jasmine in increased concentration creates a storm of white flowers in the heart, combined with accords of black tea. Oriental osmanthus forms the base of the perfume, adding sensuality and sophistication to the other notes.